Roughly 12,000 years ago when glaciers covered most of the northeastern United States, earthworms and other soil inhabitants were eliminated. Northern forests, including those in Vermont, evolved without earthworms until humans introduced them from Europe and Asia in imported plant and soil materials. Many species of exotic earthworms have slowly moved from agricultural and horticultural soils, where they are deemed beneficial to plant growth, to forests where their impacts can be considered detrimental to soils and plants. Many forests that have converted from agricultural lands now have extensive residual earthworm populations. Conversely, forests without past agricultural land use histories have developed without earthworms but are at risk for earthworm invasion. In a recent statewide survey, University of Vermont researchers identified 15 species of exotic earthworms in Vermont forests. Researchers Don Ross, Megan Knowles, and Josef Gorres in the University of Vermont’s Plant and Soil Science Department found that forest sites with high earthworm diversity have reduced forest floor depth from loss of soil organic layers. Earthworms feed on organic matter in the soil and can alter its physical, chemical, and microbial environment. Loss of the upper soil organic layer from earthworm activity reduces understory tree and plant regeneration on the forest floor. At these same study sites in Vermont, the researchers also discovered high levels of mineral soil carbon, likely because earthworms have moved organic matter deeper into the soil. Northern forests can sequester, or store, some of the carbon emitted as carbon dioxide (CO2) and other greenhouse gases by human activities, such as tilled agriculture and fossil fuel combustion. But what impacts do earthworms have on soil carbon over time? Funded by the Northeastern States Research Cooperative, the same research team investigated the impact of earthworms on forest soil carbon stores. Researchers collected earthworms of one particular species (Aporrectodea tuberculata) from the Hinesburg Town Forest in Vermont that had past agricultural land use. They also collected large soil cores, or columns, from the Waterworks Property, a forest in Bristol, Vermont, known to have no populations of earthworms. In the laboratory, the team placed earthworms into the soil cores and after four months, they found that soil mineral carbon stores actually increased. Earthworms ingest organic matter from the forest floor and move that carbon in the form of castings from their guts to lower mineral soil layers. These castings become part of new soil aggregates of organic matter and mineral soil and essentially act as protected stores of carbon deep in the soil. However, it is also known that earthworms increase nitrous oxide emissions from soils which may counteract the positive effects of carbon sequestration. Nitrous oxide is a more potent greenhouse gas than CO2 and thus has more impact. The balance between these two processes is a topic of current scientific debate. Although earthworms might play a role in carbon sequestration, they more importantly damage forest soil structure, reduce organic matter, disrupt surface soil layers essential for seed regeneration, and adversely impact other forest processes. 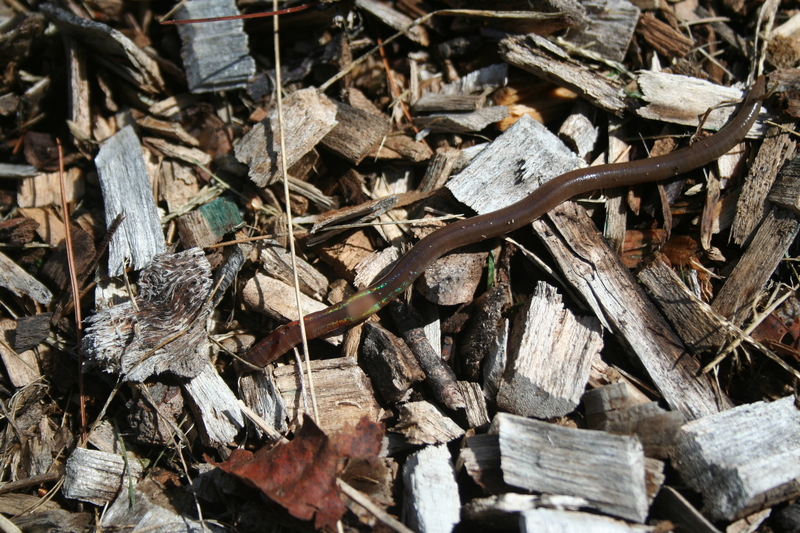 Researchers and State of Vermont forest health specialists recommend avoiding practices that might spread earthworm-infested soils to forest sites without earthworms.